GIC Rates home of the best rate around. GIC Rates : the online destination place for the best rate around. Guaranteed Investment Certificates. The Canadian GIC Market is worth over 730 billion and is a money maker for top banks. A recent study shows that the average account is worth over $60,000.00 and the majority of assets are with big banks at low rates. The review in Money Magazine explains that most people are getting burned when they turn to the safety portion of what should be a balanced portfolio. GIC is the bread and butter of the major banks in Canada. This will all change by perception and over time. The highest rates paid are from some of the smallest companies, trusts, credit unions, caisse populaires and near banks. Few people know this and fewer people take advantage of it and stick to the big banks and pad their pockets and lessen their own. It’s perception and decepti0n; how long will it be until there is an even playing field and a more efficient marketplace. Those that need to step up, monitor and manage this metamorphosis are still sleeping at the switch. The independent deposit broker will change the way things happen just like the mortgage broker used to be the lender of last resort and now is the go to facilitator. GIC rates will become more and more competitive when the banks realize they are losing market share with the same old low rates when new and secure institutions will give out better rates for more and better business. The public will lose millions in lost interest in the meantime as the banks have no interest in marketing this GIC Industry Secret. MONEY Tip: Use a registered deposit broker and get the best rate around for a personal or business investment account. The MONEY® Show is a weekly, high-impact, fast moving, 30 minute, HD, broadcast quality television show that is all about money and personal finance for Canadians. Created by MONEY® Canada Limited, publisher of numerous financial services related products, including MONEY.ca- MONEY Media, Money Newsletter and MONEY® Magazine, .The MONEY® Show brings together the best of the best from within world of financial services content providers and product and service managers and manufacturers. cover the big financial news of the day much like a 6:00 o’clock news broadcast. 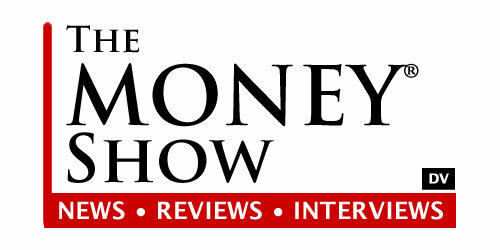 The MONEY® Show will also highlight and review all financial products and services regularly. Backed by the ‘YOU and YOUR MONEY® and ME and MY MONEY® Blogs’, where over 50 of Canada’s finest financial writers post consumer centric articles. MONEY has an endless supply of content and experts from across Canada. Finally, each broadcast will include interviews with top Canadian financial professionals: writers, authors, bloggers and advisors add superb commentary and insight with direct un-scripted and unedited interviews with economists, financiers, executives, well to do persons and prominent business owners. MONEY® Canada Limited’s mandate is ultimately Canadian Financial Literacy, and The MONEY® Show will serve this end by closing the loop and allowing us to reach even more Canadians via a weekly simulcast of both TV and audio broadcasts. Elvis Deane – Video, sound, and lighting. The MONEY Show “Described Video” – AMI.CA Cable – Networks and Website can access more than 2 million households in Canada and this number is growing considerably. The MONEY Show is independently produced and owned by Money Canada Limited and can be cross-sold on any other channel or time slot. The MONEY Show hopes to convince AMI, BNN, Rogers, Shaw, Videotron and other local and national broadcasters of its important subject matter and its need to exist, be promoted and grow as a common social media and social service. Education sponsorship of “The MONEY Show” starts at $2000.00 per weekly episode. Wanted a World-class sponsor of a worthy Canadian Financial Literacy cause. The smart Canadian financial services, company, product, service or organization that wants, warrants and needs to engage with investors, advisors and consumers are best served by Money Canada Limited. Learn more about financial advertising with MONEY.CA online – Money Magazine in print or as a premiere sponsor of The MONEY Show for television.